The husband and I just booked our tickets to India for next month. We'll be there for a whole month and be back in time to see the end of the Christmas holidays. Shopping for an India trip is always tricky. It's like Christmas shopping. I don't know if this is a global custom (it probably is) but we try to buy something from here that family in India will appreciate. When I say family, I don't just mean immediate family. I do mean immediate family, and aunts and uncles, and some neighbors who are good friends, and best friends, and cousins, and new babies, and any kind of kid, and whoever else we consider a big part of our lives but don't fall into the above buckets. It's a giant web. When I was still a little girl, I used to look forward to these visits from the then very small number of family members who were in the US. There would be clothes, candies, perfumes, and beautiful home decor items. We used to be in Dubai at that time, so no matter how rich or poor we were or how similar the industries in the two countries, we would unfailingly have one bag of items that were just gifts. There have been embarrassing moments when we bought something for Cousin X but not for Cousin Y who we were not expecting to meet during the visit. But of course, as fate would have it, Cousin Y has planned an impromptu trip and we are left wondering how to give something to Cousin X in front of Cousin Y. One of the most common gifts I have seen handed over was perfumes. I could never understand what people saw in perfumes, since I didn't like them at all. Perfumes were also a highly subjective item like intimates - what smells like luxury musk to you could smell like a choking hazard to me. You wouldn't buy intimates as gifts, would you? When I was planning my first trip to India as a grad student, I was getting panic attacks about what to get people. Buying a gift is already a nerve-wracking deed for me. Will the recipient like it? Will she wear it? Will he look at it in confusion? On top of that, I was a student living on a small stipend and I could empty my entire savings on just the shopping part. So I bought candies. Bags and bags of candies. If the TSA did open my bag, they would have wondered if I was headed to some weirdo Halloween celebration in the wrong month of the year (May). Of course, we get candies in India, so there is nothing American about them. But multiple aisles filled with a million different kinds of candies has not yet arrived in India. Of course, a lot of time has passed since the days when I would be excited to see a bag of goodies sent from the US to being the one who now sent those goodies. There is really nothing that's not easily available in India now. In fact, it's even cheaper there and we do often buy stuff from India and bring them here. Of course, this is all because of lower cost of living (and salaries) in India. That does make our US shopping a little easier to deal with - there's always candies (I won't be surprised if we are building an entire generation of Diabetes illnesses in our families) - but also difficult when it comes to some special people. Although I'm looking forward to this trip, I have never yet had a stress-less vacation to India. There are friends and family to meet and then more. We haven't yet nailed down our plan yet but I'm hoping that the husband and I will get to do some real vacationing as well and keep the meet and greets to a minimum. I'd love to be able to say that I actually vacationed in India. This is also going to be our first trip to India since we got married almost three years ago, though we were were both in India briefly when my husband's mother passed away. Vacation plans aside, I have been listening to The Emperor of All Maladies this week and finally decided to put it down. It's a rich book and a treat for anyone fascinated with the history of cancer (and I did learn a few good things) but my mind is just not on the book. I have been guilty of preferring silence in the car at least twice this week. Since I had a few unused Audible credits, I just purchased three audiobooks and am wondering which one to start with. Oh my goodness, trips are enough work to get ready for! Hope you are able to work in some time to just relax and enjoy your time in India as well as have plenty of time with your families. 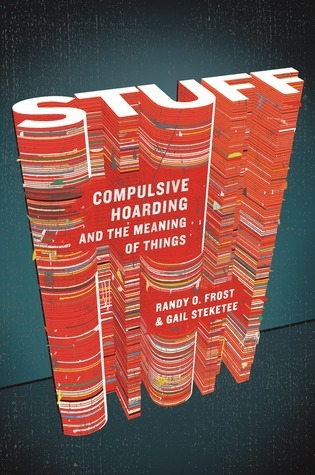 I'm afraid what I might find out about myself if I read "Stuff!" You remind me of the worries my husband's former associate had before his trips back to India - so much shopping for gifts for so many people!! I'm sure you will sort it all out, and I do hope you have enough down time so it feels like a vacation. 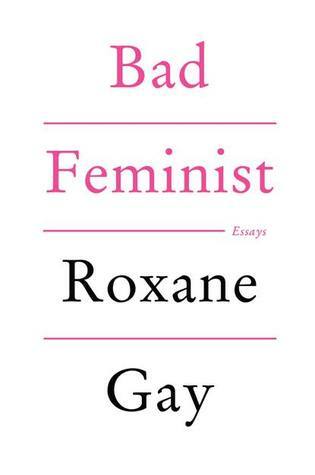 I haven't listened to any of your new books, but Trish (Love, Laughter, and a Touch of Insanity) reviewed Bad Feminist this week and I've added it to my wish list. shopping for India relatives is really tough. Most things are available here now, and expectations are higher. I remember I used to come back with Mars bars and Hershey's but now if someone brings that, people go ho-hum. The in thing now is liquer chocolates, or something that's not mass-produced. My wife always says that I am good at picking out gifts but I can't imagine choosing gifts for that many people. I think I do better when I really know the people and can find something that they really would like. It might harder with friends of family, I'm thinking. Perfume? I wouldn't do that because I don't know what kind of smells the person might like. But maybe that's just me. As for what I'm reading, right now I'm catching up with Sunday Salon posts as my wife and I were away at a wedding this weekend and I have off work today and tomorrow. I plan on finishing The 7 Habits of Highly Successful People: Powerful Lessons in Change by Stephen R. Covey later today, and maybe finding something fun for tomorrow. I don't envy you having to prepare for your trip and all that gift buying, but I do hope you have a wonderful time. I am sure everyone will love whatever you give them--and most of all be happy to see you and your family. I have been busy buying gifts for those in my family we exchange gifts with. It's hard when we do not have a lot of money to spend, but I am managing. Trying to find the perfect gift for someone can be an art--not something I am especially good at, but I try! 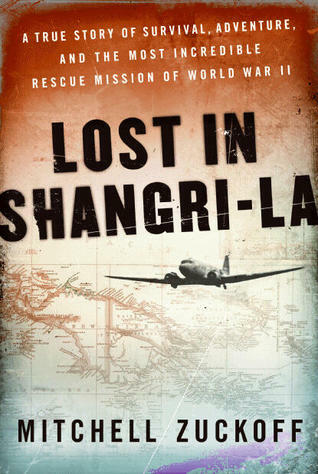 I loved Lost in Shangri-La and hope you will too. My friend from book club just had this problem. She went home to Korea and after our club meeting, she asked us for suggestions, saying that it HAD to be made in the US. That was the only requirement. We suggested Ray Bans and other items and you know what she ended up taking? Hershey Kisses! They adored them. Go figure. I hope your trip can be minimally stressful this time! I'm at the beginning of a planning phase for my own trip to India next year, but I don't have to worry about spending time with family there. It'll be me on my own most of the time going to Chennai museums like a boss.